The following terms and conditions will be deemed to have been accepted by the User on usage of the website www.fineartconsultancy.com. You are requested to read them carefully before you use the services of this site. 1. The term User shall refer to the user who is browsing the site. 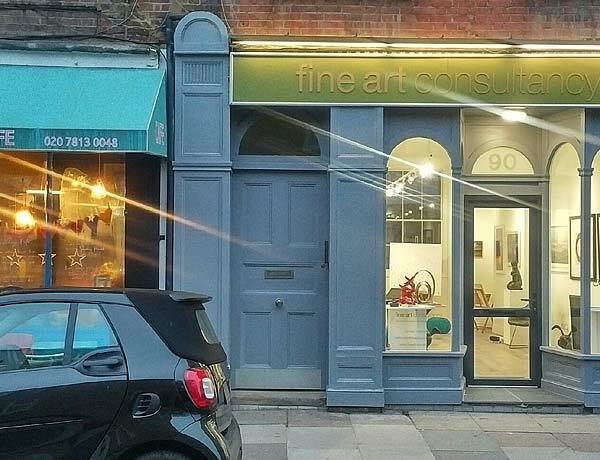 The term “FAC” shall refer to “Fine Art Consultancy Limited”. The term Site refers to www.fineartconsultancy.com owned and monitored by FAC. 3. FAC may terminate User’s access at any time for any reason. The provisions regarding to disclaimer of warranty, accuracy of information and indemnification shall survive such termination. FAC may monitor access to the Site. 4. All content present on this site is the exclusive property of FAC. The software, text, images, graphics, video and audio used on this site belong to FAC. No material from this site may be copied, modified, reproduced, republished, uploaded, transmitted, posted or distributed in any form without prior written permission from FAC. All rights not expressly granted herein are reserved. Unauthorized use of the materials appearing on this site may violate copyright, trademark and other applicable laws, and could result in criminal or civil penalties. FAC is a registered trademark of Fine Art Consultancy Limited. This trademark may not be used in any manner without prior written consent from Fine Art Consultancy Limited. 5. FAC does not make any warranties, express or implied, including, without limitation, those of merchantability and fitness for a particular purpose, with respect to any information, data, statements or products made available on the Site. 6.The Site, and all content, materials, information, software, products and services provided on the Site, are provided on an “as is” and “as available” basis. FAC expressly disclaims all warranties of any kind, whether express or implied, including, but not limited to, the implied warranties of merchantability, fitness for a particular purpose and non-infringement. 7. FAC shall have no responsibility for any damage to User’s computer system or loss of data that result from the download of any content, materials and information from the Site. 8. FAC may change or discontinue any aspect of its website at any time, including, its content or features. FAC reserves the right to change the terms and conditions applicable to use of the Site. Such changes shall be effective immediately upon notice, which shall be placed on the Site. 9. In no event will FAC be liable for damages of any kind, including without limitation, direct, incidental or consequential damages (including, but not limited to, damages for lost profits, business interruption and loss of programs or information) arising out of the use of or inability to use FAC’s website, or any information provided on the website, or in the Products any claim attributable to errors, omissions or other inaccuracies in the Product or interpretations thereof. Some jurisdictions do not allow the limitation or exclusion of liability. Accordingly, some of the above limitations may not apply to the User. 10. User agrees to indemnify, defend and hold FAC harmless from and against all losses, expenses, damages and costs, including reasonable attorneys’ fees, arising out of or relating to any misuse by the User of the content and services provided on the Site. 11. The information contained in the Site has been obtained from sources believed to be reliable. FAC disclaims all warranties as to the accuracy, completeness or adequacy of such information. 12. FAC makes no warranty that: (a) the Site will meet your requirements; (b) the Site will be available on an uninterrupted, timely, secure, or error-free basis; (c) the results that may be obtained from the use of the Site or any services offered through the Site will be accurate or reliable. 13. The User’s right to privacy is of paramount importance to FAC. Any information provided by the User will not be shared with any third party. FAC reserves the right to use the information to provide the User a more personalised online experience. 14. The Site provides links to web sites and access to content, products and services from third parties, including users, advertisers, affiliates and sponsors of the Site. You agree that FAC is not responsible for the availability of, and content provided on, third party web sites. The User is requested to peruse the policies posted by other web sites regarding privacy and other topics before use. FAC is not responsible for third party content accessible through the Site, including opinions, advice, statements and advertisements, and User shall bear all risks associated with the use of such content. FAC is not responsible for any loss or damage of any sort User may incur from dealing with any third party.